An overview including bio, corporate affiliates, associated charities, residencies, appearances and testimonials from clients. Ashton Martin has the unique ability to read a room full of individuals and tailor the specific vibe, energy, and excitement of the event for the partygoers. With an immense music repertoire stemming from an early education in music, Ashton captures crowds for a high-voltage performance. Mixing effortlessly between genres has become a trademark quality, guaranteeing full crowd excitement and participation. “DJ Ashton Martin is phenomenal at setting the right mood throughout the course of an evening. Whether it is a private event or an evening at the bar Ashton comes in giving the crowd what they want to hear and leaves them wanting more! A great time is always had by the patrons that attend when Ashton is the DJ. I have worked with Ashton several years now and can truly say is very talented and truly passionate about what he does. Ashton has a set standard of excellence that I have yet as an event planner seen many other DJ’s be able to match. 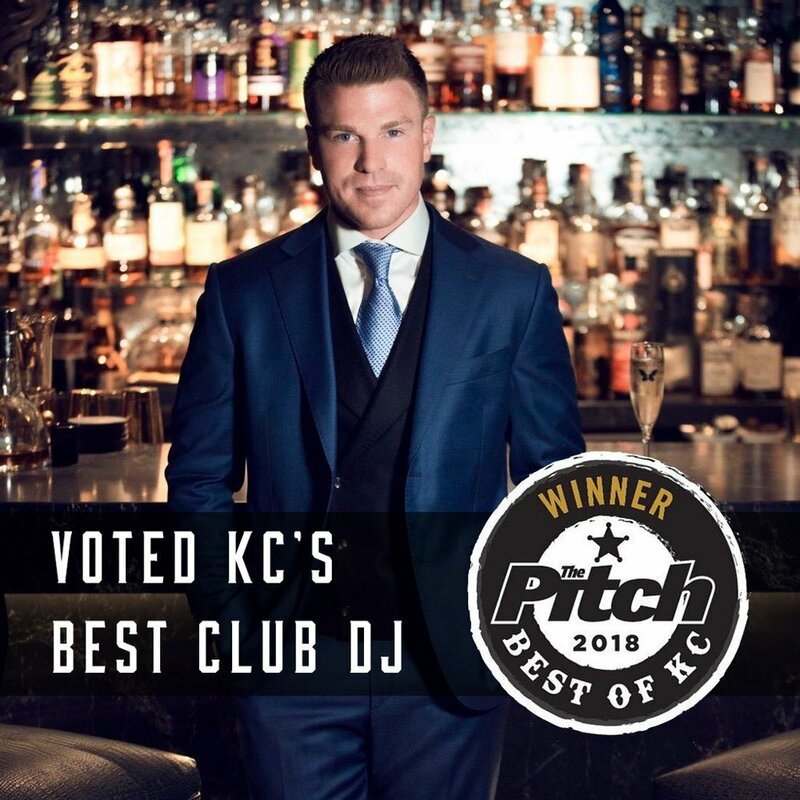 In addition to mastering his talent at being a Top DJ in Kansas City, Ashton is easy to work with and brings many unique and new ideas to the social scene in Kansas City."